To get the full benefit from the insights only patients can provide, pharmaceutical companies need to build and commit to processes, structures, and strategic priorities that put patient involvement at the core of its business. 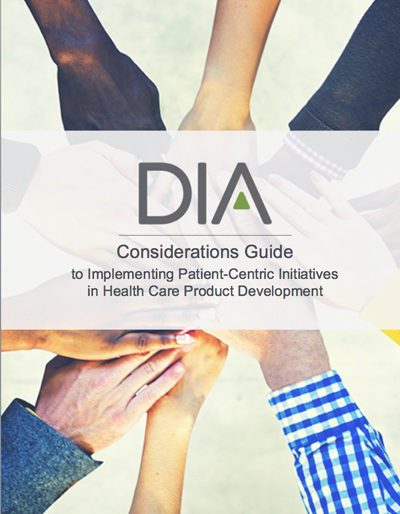 Developed as part of DIA’s Study of Patient-Centric Initiatives in Drug Development, the Considerations Guide was designed as a practical resource for pharmaceutical companies as you launch or advance patient-centered initiatives that support health care product research and development. Whether your goal is to fundamentally change how you do business or simply to revise a single process by integrating patient input, this document will guide you through developing a patient-centric approach.